Doglicious Spa & Wellness Center strives to be your one-stop for all of your pet's needs. We carry a wide variety of accessories to help meet those needs. 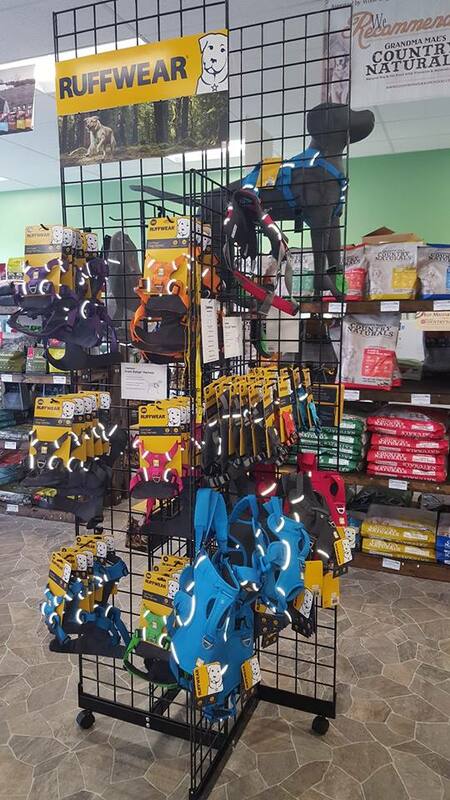 We carry several types of harnesses, leashes, collars, and safety gear, including Ruffwear, Alcott Safety Gear, Angel Leather Leashes, Bay Dog, NiteDawg, and GearTac. Filtered Water Fountains are also a great way to keep water fresh and flowing! Doglicious Spa & Wellness Center carries a great selection of water fountains to fit your home decor and your dog's or cat's needs. Stop in and check out our wide selection. Locally Hand-crafted feeders are also a hit! Not only are they stylish, but they serve a purpose of keeping bowls off the floor and strain off of your dog's neck and spine. Finding the right height is important in keeping your pet healthy and the spine aligned. Need a new Toy for your pet? We not only carry a variety of dog toys, but we have cool cat toys as well! Need a home for all of those toys? We also carry locally hand-crafted toy boxes as well! Keep those pets comfortable with our stylish dog beds and crates. Many sizes and styles to choose from including Orthopedic beds.